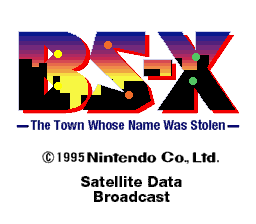 BS-X: The Story of The Town Whose Name Was Stolen (BS-X それは名前を盗まれた街の物語) is a cartridge released alongside the Satellaview in 1995, the expansion for the Super Famicom allowing to receive satellite data and radio. BS-X makes use to the Satellaview to allow you to download games, magazines, and other downloadable content for compatible games. 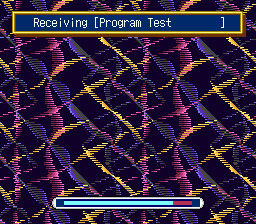 It requires a Memory Pack to be inserted on the cartridge itself to save the downloaded content. This unique way to access content has been way ahead of its time, thanks to the collaboration of Nintendo and St. GIGA, which was the first company to focus on satellite radio... Broadcasting specifically made games and radio content together, as we call soundlink games, you may have heard of BS Legend of Zelda, a remake of the original Zelda game which a radio drama was also broadcasted alongside the game. But you cannot easily recreate the whole feel of the service since the end of the service in 2000, which is why BS-X Project exists! 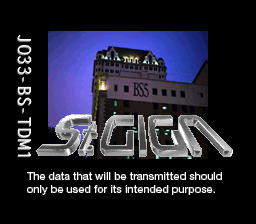 BS-X Project is a project lead by LuigiBlood, which we are striving to emulate and document all the Satellaview functions, including data broadcasting. 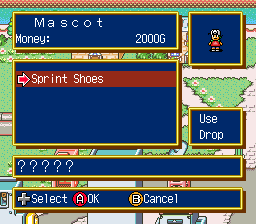 We also facilitate the accessibility by making an english translation patch. 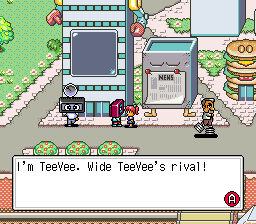 The goal is to make a Satellaview server, which is useful to play games with, as some games requires such functionality to work properly. 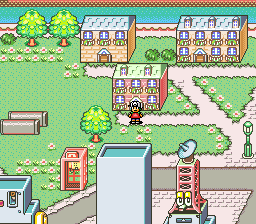 Currently, a few emulators alongside the flashcart sd2snes emulates a part of it by using local files. We also make Memory Pack functionality working in emulators, used by a few games supporting to save user-created content.